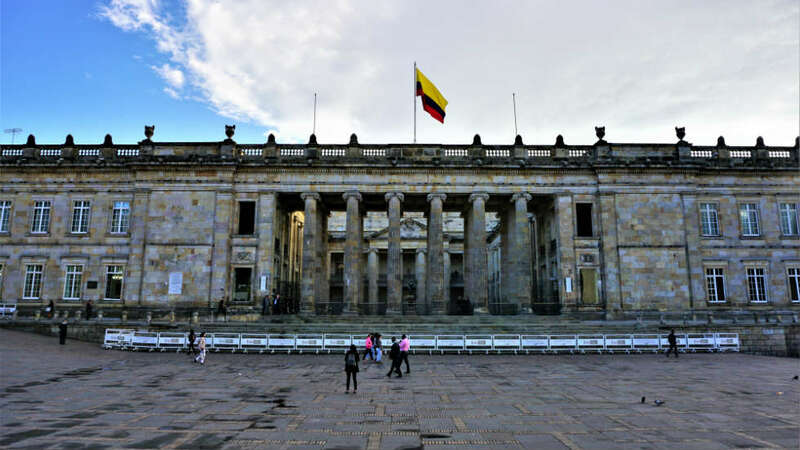 Political parties that support Colombia’s peace process said Wednesday that they will block all legislation until the Senate’s far-right president schedules a vote on the country’s war crimes tribunal. The senators who do not belong to the government’s minority coalition abandoned the chamber on Wednesday and said they would refuse to take part in votes until after they can vote on President Ivan Duque‘s objections to a bill that defines the powers of the Special Jurisdiction for Peace (JEP). According to Senator Roy Barreras (U Party), the senate’s president is blocking the vote that is widely expected to dismiss Duque’s controversial objections and send the JEP’s statutory law back to the president for signing. Senate president Ernesto Macias belongs to Duque’s far-right Democratic Center party that opposes Colombia’s peace process. We have adjourned the session of the Senate due to the stonewalling of Senator Ernesto Macias who refuses to announce the report of objections to the JEP so that it can be voted on. The executive board does not comply with the Constitution and the Law. The House of Representatives voted to dismiss Duque’s objections earlier this week despite efforts by the government and US Ambassador Kevin Whitaker to see the JEP’s statutory law returned to Congress. In both houses of Congress, Duque’s hard-right governing coalition only has been left with little more than one third of the votes, making it impossible for the government to have any legislation passed without support of moderate parties. Both the leftist opposition and moderate opposition parties have said they do not accept Duque’s opposition to the JEP. The CD has opposed Colombia’s peace process since before it began, but the party’s opposition to the 2016 peace deal with FARC guerrillas and its refusal to share power have marginalized the “uribistas” in Congress. Illegal attempts to alter the JEP’s statutory law before it was sent to Duque also failed and are now under investigation by the Constitutional Court. The JEP has been investigating war crimes for more than a year and will continue to do so, but could clash with the ordinary justice system until its powers are defined. State complicity in the mass victimization of civilians has severely complicated the approval of the JEP and its statutory law as many powerful players in both politics and the private sector could end up in prison.